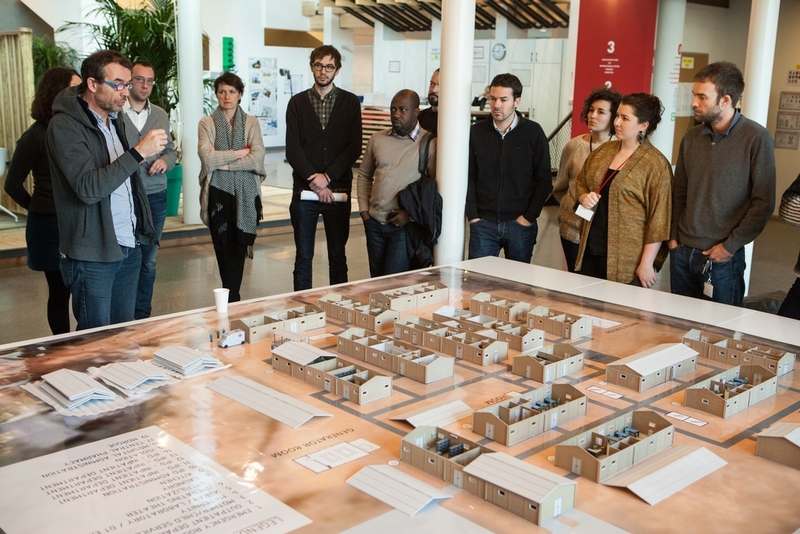 Jean Pletinckx, MSF Director of Logistics, explains to some MSF members the results of the project with the 3D printed model of Cantahay hospital. NEW YORK/BRUSSELS, MARCH 23, 2016 — Doctors Without Borders/Médecins Sans Frontières (MSF) has successfully tested 3-D printing and virtual reality technology to design hospitals that better meet the needs of patients. “The idea of this project was really to see how we can make use of 3-D printing technologies and virtual reality to help MSF better design our hospitals,” Motard said. The 3-D printing and virtual reality technology project took four months to complete and will take less time in the future now that all of the 3-D items created during this test phase are available for use. While Cantahay hospital was a “proof of concept” developed in an existing facility, in the near future 3-D models will be able to be sent digitally anywhere in the world and viewed on any web browser so field staff can view and evaluate the design before the first bricks are laid. This will ensure that the facility is designed in a way that will be most efficient and effective for doctors and patients.